1965 Rolex Datejust 1603 Original Rolex pie pan dial with very light patina. Mounted is a new brown leather strap. It will be sold with the watch. View photo for watch condition. 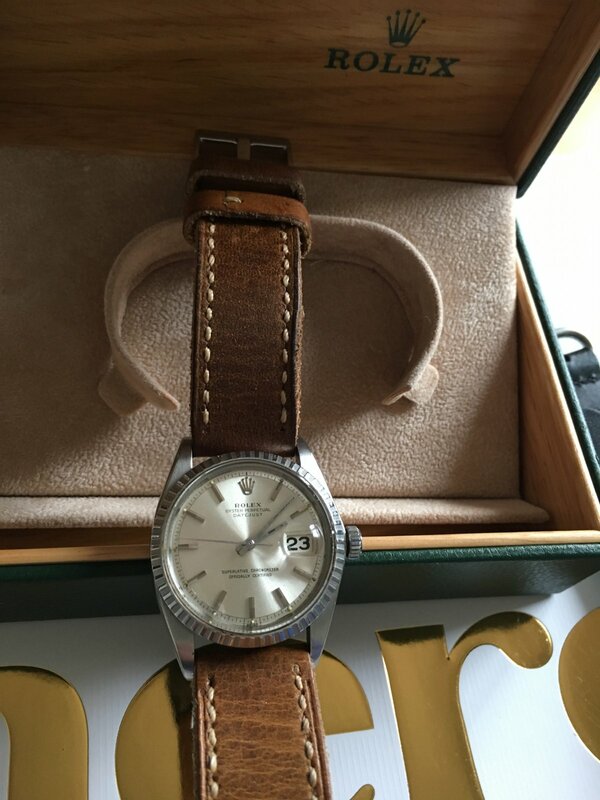 Rolex box is as new 68.00.08 not original box from 1965. Coming with box, very high quality steel band (aftermarket) plus a new nato calf black leather strap.